Any Lab Test Now and myLAB Box are two respectable STD testing services that we gladly recommend. To help our readers better understand the differences between them and choose the one that is a step ahead of its competitor, we have created this objective Any Lab Test Now VS myLAB Box comparison that clearly shows which one is a slightly better choice. Any Lab Test Now based its testing business around the franchising model and currently has more than 160 independently owned and operated store locations spread all across the United States. Any Lab Test Now will collect your personal information, including your name, home/work address, email, and phone number, as well as your age, gender, ZIP code, and personal interests and preferences. It will also collect your IP address and software information. The company will, however, never share, lease or sell your personal info or disclose it to anyone without your consent. Any Lab Test Now is a franchise-based company with more than 160 store locations spread all across the US. It partnered with numerous reputable brands in order to bring one of the most impressive testing portfolios to its customers. 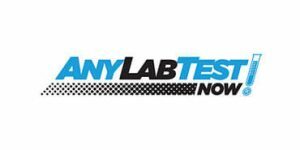 Read our dedicated Any Lab Test Now review to learn all about the company, its policies, and available services.